DNA discovery and technology have allowed us to develop the tools to perform genetic modification (GM) on organisms. Unfortunately, there are environmental challenges and concerns that shadow the promise of GM technology. Genetic modification operates on the premise that a desired gene from one organism can be inserted into a recipient organism that normally does not have that gene. This 'mixing and matching' allows scientists to manipulate an organism's genome to provide benefits to areas such as agriculture. A vegetable can be engineered to withstand a drought or a coffee bean could be engineered to be caffeine-free. The possibilities are virtually endless but numerous challenges, particularly in relation to the environment, have kept GM technology from being accepted by all members of the public and scientific community. In fact, GM foods are banned in certain areas of the world and until long-term studies are performed to assess their full impact on the environment, it is likely that controversy will prevail. When GM crops are grown, there is the potential for genes to be transferred to other organisms in the environment. This creates the possibility of uncontrolled growth, which could be a real threat if any unexpected and dangerous consequences arose from the gene transfer. Still, a great many crops are not actually native to the fields where they are grown. As such, no related species may be present to facilitate gene flow. In addition, if a transfer of genes did occur, the resulting species may not survive at all because the traits would not be beneficial in that particular environment. Another aspect to consider is that GM technology may itself evolve to allow techniques to prevent gene transfer from one crop to another. There is still conflicting evidence concerning the effects of GM technology on other organisms in the environment. One concern is that GM crops that are engineered to be resistant to insects could harm insects or other species. One experiment found adverse effects when caterpillars consumed GM foods. Other effects are considered positive such as reduced need for pesticides and herbicides. It has, however, been argued that resistance may eventually occur so any benefit would be short-lived. Not only is there much debate regarding the precise environmental impact but there is also debate regarding how to actually assess the impact of GM crops on the environment. Most of the scientific community and the public seem to agree that we should be assessing the impact and that ignoring it will likely only lead to further issues in the future. It would seem that an effective approach would be to look at the impact on a case-by-case basis, which would thus depend on the specific species, the genes involved and the ecosystem itself. It would also be wise to look at alternative ways to achieve the same result albeit through proven, safe methods that are sustainable and low-impact on the environment. Another important point to note is that there is much controversy over any inferences we make from laboratory and field trials that may be quite small and may not accurately reflect the true story on a large-scale. Unfortunately, we also simply do not have international laws and regulations to provide ways to assess the impact of GM organisms. Hopefully, a realistic set of guidelines might eventually be created to address the concerns of GM organisms and the environmental impact. The interpretation of any gathered data regarding this impact could vary from one country to another, which means that guidelines would also need to include standards for accurate interpretation and actions to be taken. 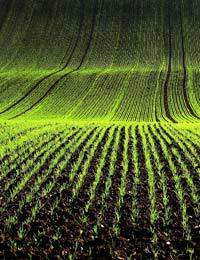 Any type of agriculture has some effect on the environment, measurable or not. GM technology could potentially amplify the typical environmental damages from agriculture but it could do the exact opposite and help to contribute to better techniques and farming habits. Until more research is performed, it is likely to remain a waiting game that is filled with controversy. Researchers must assess the impact of each individual crop and compare merits and risks to the crop's non-GM counterparts. Ultimately, GM technology holds promise but still requires much more research before we can proceed without caution.